Has performed to sold-out audiences around the country to rave reviews. Lifetime member of The Actors Studio, Bonita has studied and worked with Academy Award winners, Martin Landau, Ellen Burstyn, Mark Rydell and Al Pacino to respectfully name a few. 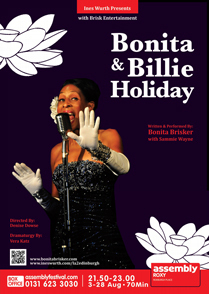 Performing in over 70 plays, Bonita made her Broadway debut at Houseman Theater starring with Charles Dutton in "Unrefined." Her theatrical credits earned several NAACP Theater Awards, including a "Helen Hayes Award" nomination. I, WHO HAVE HANDS MORE INNOCENT is a paraphrased verse of a poem by Vesna Parun (1922-2010), the most famous female Croatian poet of all time. 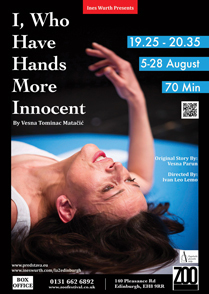 This play is a compilation of Vesna's autobiographical texts. The core of this staged meditation gives chilling insight into all existential aspects of a woman's life challenged by the patriarchal men of the Balkans. Vesna was born and raised on one of 1,100 Croatian islands, a true Mediterranean soul. Just as the sea connects the whole world, so her poetry reaches the shores of every human soul. An astronomer. A labor organizer. A minister. A doctor. A woman from the Jewish ghetto. The founder of the women's suffrage movement. Challenged as they grow up, pressured to marry, and ostracized for wanting careers. Follow six iconic American women through memoirs, diaries, and letters. America's story retold by its women. The play is about the human struggle for freedom from stereotypes and the establishment of self-worth. 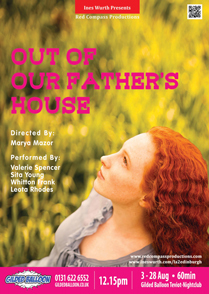 Featuring an all­female cast, female director, and female producer. Supporting opportunities for women in the arts and bringing the stories of American women to the stage. 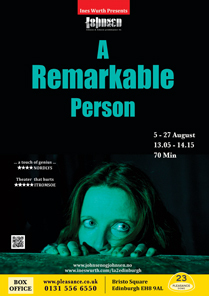 In this critically acclaimed 'touch of genius' World Premiere (Nordlys) an Author makes a thought-provoking, no mercy, self-revealing, insightful and heartbreakingly funny plunge into our contemporary psyche: Do humans really have a deep need for an identity? Or is this need utter nonsense? Due to her ability to convey deeply existential material in a humorous and crystal clear way, her original take on a play-within-a-play, and her iron will to kill politically correct darlings, the playwright has been compared to Sartre. The script was awarded First Priority by Norwegian Centre for New Playwriting.